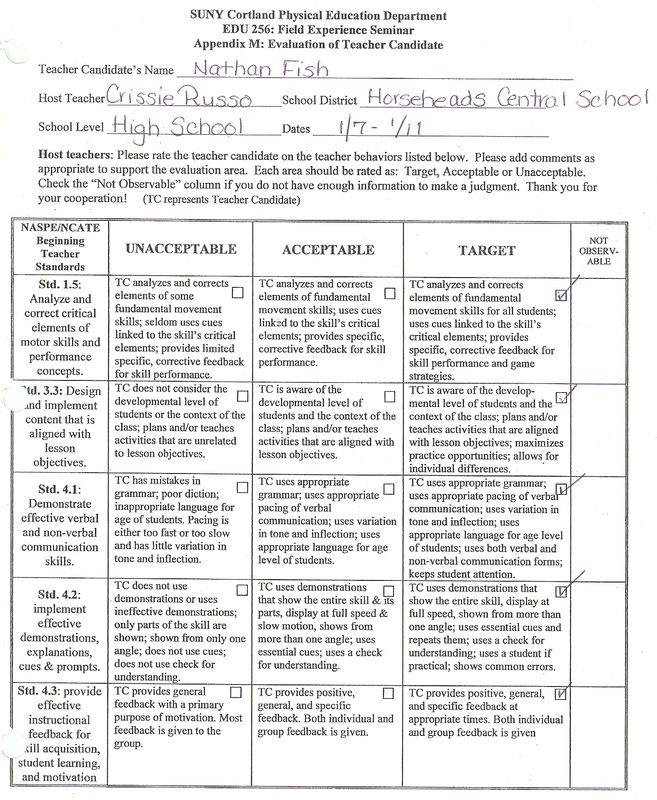 Element 6.3: Demonstrate behaviors that are consistent with the professional ethics of highly qualified teachers. Reflection: By reading this Physical Education Field Experience Seminar, you will have a better understanding of who I am and the dedication that I have in this career. I spent a week at the Horse Heads High school district and had the opportunity to help work with the students. I helped the student's work on and improve their fundamental movement patterns and skills. 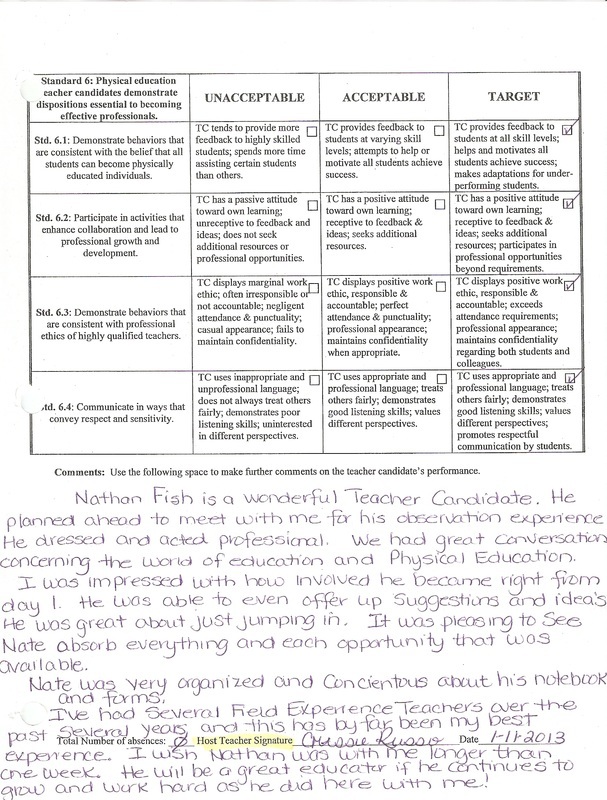 I also was able to provide positive and corrective feedback to the students. It is an importance to reach out to the children in schools today and give them the feedback that they need in order to set and achieve reasonable goals. Element 6.4: Communicate in ways that convey respect and sensitivity. REFLECTION: The letter to the parent describes Student A and what he has learned throughout the semester at SUNY Cortland. This letter defines what an Individual Education Program is and what I used it for. In this letter you will see the importance of the (Psychomotor, Affective, and Cognitive Domain) and how Student A fared in all categories. Swimming is a lifetime activity that will help Student A stay active as well as maintain a healthy body. The child has demonstrated an immense interest in swimming and I would recommend swimming for him in the near future.